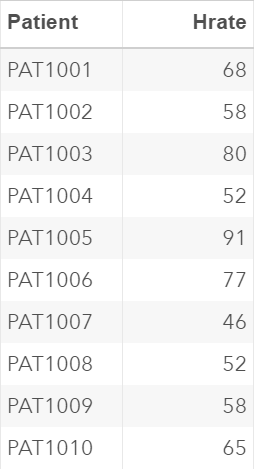 Let's assume you'd like to compute the summary statistics over a set of data. However, the data has been split into different tables. With data step, you will have to first merge or concatenate the multiple data sets before summarizing the data using a proc step such as Proc Means or Proc Freq. The same task can be achieved more efficiently within a single proc step using Proc SQL. 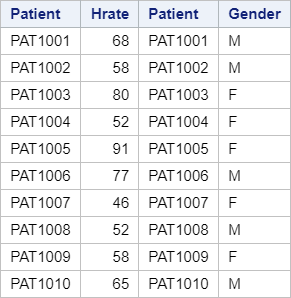 The HR table contains a list of 10 patients and their associated heart rate. We are now going to compute the average heart rate for each gender. With the data step, we will have to first merge the HR and GENDER data sets before computing the average heart rate by gender. This will require multiple steps to sort, merge and summarize the data. 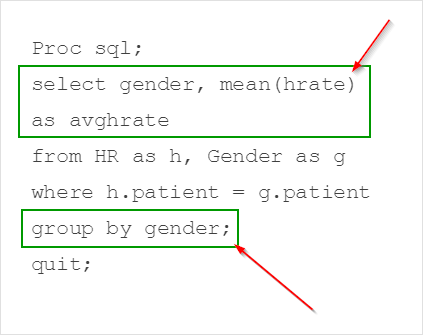 With Proc SQL, this can be done within a single proc step. Let's look into how the code is processed. 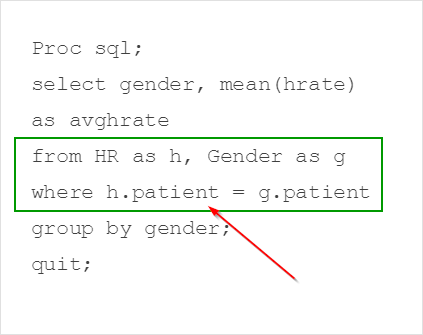 SAS first performs an inner join between the HR table and the GENDER table. The heart rate is computed for both the male and female patients. This is significantly longer than using the Proc SQL method. You are the customer services manager and you're looking to find out which agent receives the lowest rating among the three agents. Write a Proc SQL step to compute the average rating for each customer service agent. Which agent receives the lowest rating among the three?